WIE conducted the quiz competition at E one hall at 4pm. 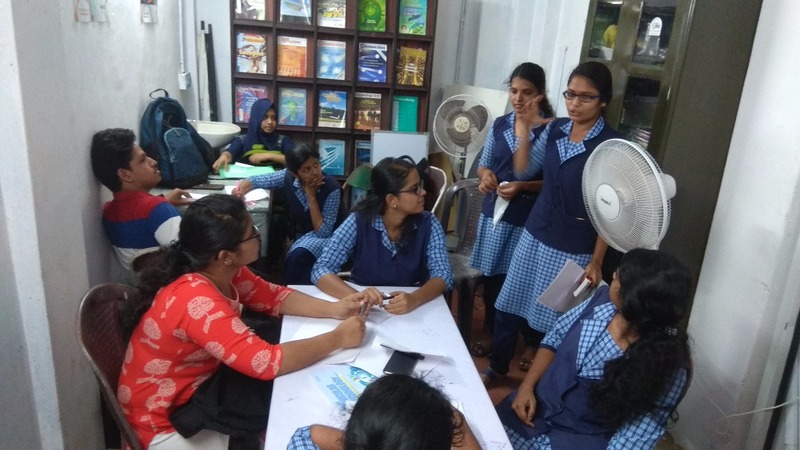 Activity coordinators Reja Khathun and Swetha Vijayan volunteered the program and 75 students participated. The event was conducted as a group of two. Ajay Nair and Anirudh were the winners of the quiz. WIE conducted cartoon competiotion on 7th March ,2018 .The venue for the program was eOne hall at 4pm.Around 10 students participated.They were given the topic "Adventures of women in kitchen and outside world". As part of the womens day celebration fun games were conducted by the IEEE members on 7th march 2018 at 4 pm.The outdoor games filled with the students with excitement and energy,Providing them a great refreshment. WIE chapter of NSS college of Engineering celebrated International Women's Day on 8th March 2018 at 11.00 am in E one hall.Our guests were women scientist Dr.Sunitha K Nayar who is also an alumnus of our college and former principal Dr.Geetha Varma. 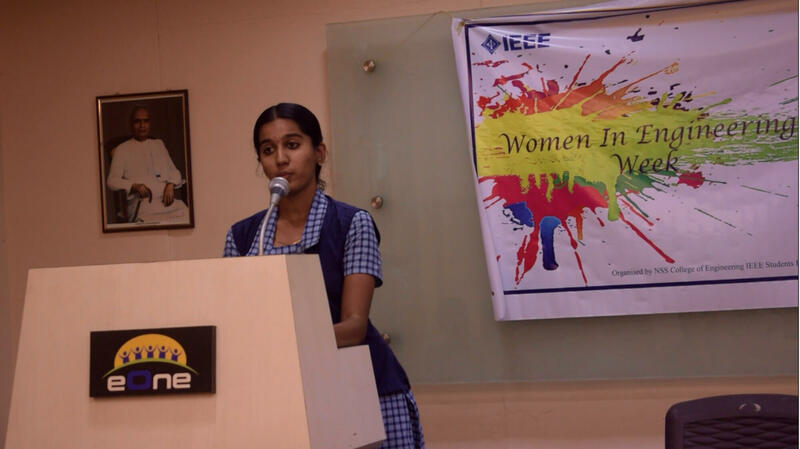 The function was anchored by IEEE member Mariya Chandy. The function was presided by Dr. Sudha T, principle of NSS College of Engineering. IEEE staff advisor, Dr. Leesha Paul delivered the welcome note. Dr.Geetha Varma, the keynote speaker delivered thought for the day including the relevance of purple ribbon.Dr.Sunitha K Nayar delivered a talk on multi tasking women .It was followed by cultural events.The function was concluded by a thank note from Akhila D, WIE chairperson. The inauguration of student chapters of IAS and PES was conducted by Dr. K.P. Mohandas(Chairman, Conference Activity Board, IEEE Kerala Section) , Dr. Muhammed Kasim (Chairman, IAS/IES/PELS Joint Chapter, IEEE Kerala Section), Prof. Biju K (Secretary, IAS/IES/PELS Joint Chapter, IEEE Kerala Section) and Er. Shine Sebastian (Assistant Engineer, KSEB Thrissur) on 27th March 2018. Inaugural Ceremony was followed by a technical session on Power Generation and Distribution by Er. Shine Sebastian. The inaugural function commenced with seeking blessings from Almighty. Ms. Athira M (Chairperson IAS Student Chapter) delivered the IEEE code of ethics to the gathering. Dr. Leesha Paul, IEEE SB Counsellor, welcomed the chief guest and other dignitaries on and off the dais. Dr. K.P. 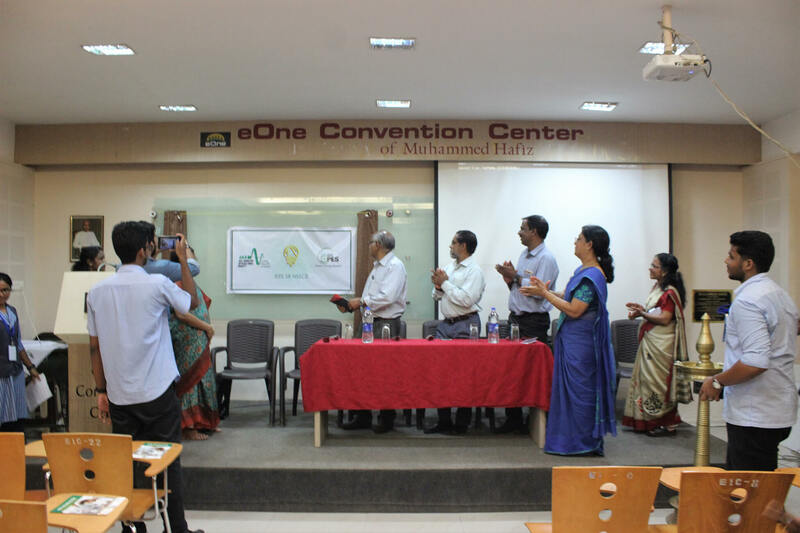 Mohandas, Dr. Muhammed Kasim, Prof. Biju K and Er.Shine Sebastian inaugurated the activities of PES and IAS student chapters-‘BIRTH OF THE TWINS’, by switching on a Bluetooth automated curtain raiser which was developed by the IEEE Student Branch of NSSCE. Followed by the inauguration, Dr. K P Mohandas and Dr. Muhammed Kasim addressed the gathering on ‘various activities of IEEE student branch’ and ‘importance of IEEE student membership’ respectively. In this auspicious occasion the official logo release and IEEE SB NSSCE website launch was done by Prof. Biju K in the presence of all other dignitaries and student branch volunteers. Following this, Prof. Biju K expressed his views on ethical conduct of IEEE Student Chapter. Dr. Vasanthi V conveyed her thoughts on future activities of IEEE NSSCE SB. The official meeting was concluded at 2 pm with the Vote of thanks delivered by Mr. Abhinav R (Chairman PES Student Chapter). Following the official inaugural ceremony, the technical session was conducted by Er. 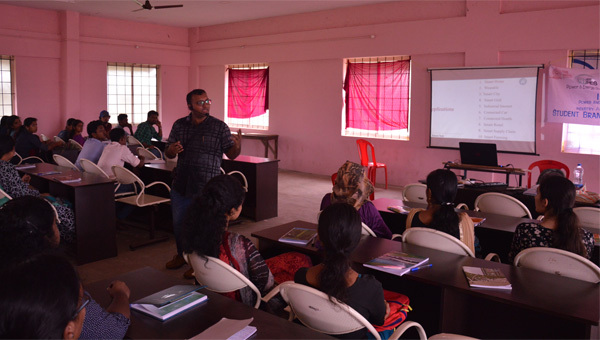 Shine Sebastian (Assistant Engineer, KSEB Thrissur) on the topic ‘Power Generation and Distribution’. Resource person started the session with introducing Hydro Electric Power Generation and briefed the working of generator, turbine and transformer used in generation and distribution with ICT enabled lectures. Technical session was concluded at 4 pm followed by high tea. 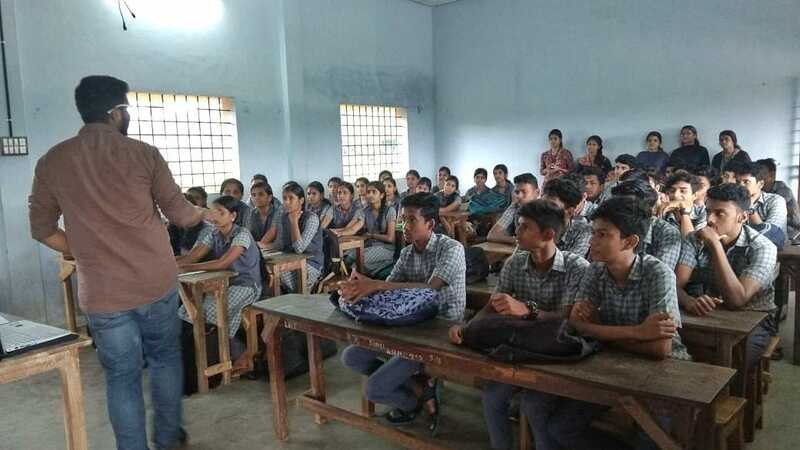 The inaugural and technical session witnessed an overwhelming participation of 6 dignitaries, 24 volunteers and about 120 students from various departments. The meeting was officially dispersed at 4:15 pm. 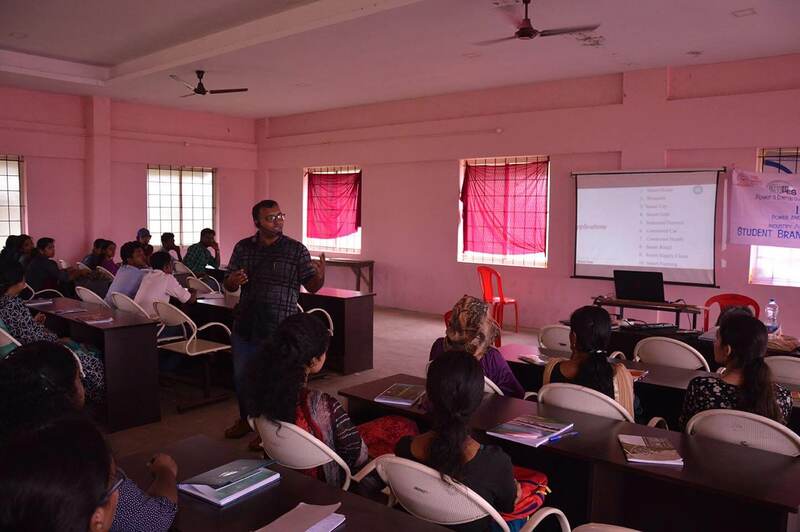 IEEE Malabar Hub Meet 2018 was conducted by IEEE SB NSSCE in association with IEEE Malabar section. It was a three day event scheduled from 27th to 29th of July 2018 comprising of Technical talks, cultural events and workshops such as Alexa, Engine Overhauling, Crack the interview and Text mining. 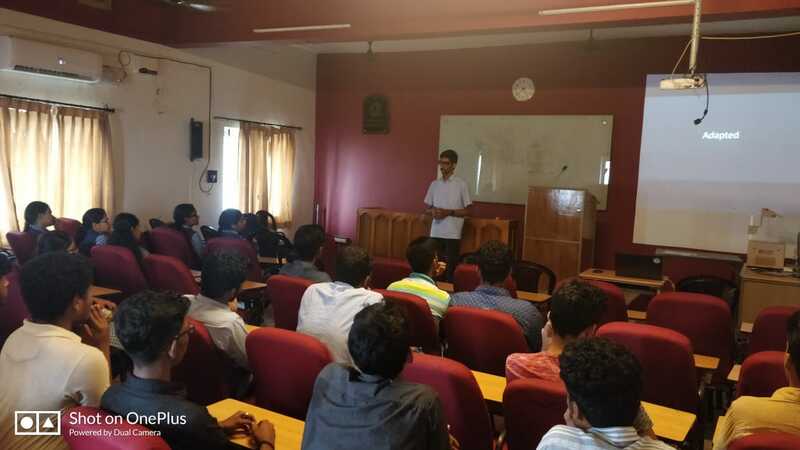 MHM`18came into being 0n 27th of july ,started off by the chairman of IEEE Malabar Section Dr.Gopakumar . 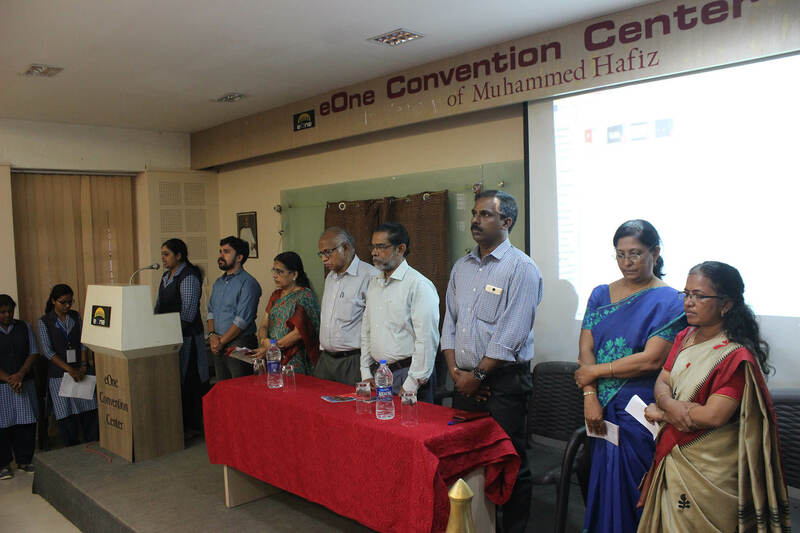 The informal turning up of Dr.Anzar VSAC of IEEE Malabar section, Dr.Sudha T principal of NSSCE, Mr. Harikumar Assistant executive engineer of KSEB Kalamassery ,Dr.Leesha Paul Branch Counsellor of IEEE SB NSSCE, Dr.Vasanthi IAS chapter advisor of IEEE SB NSSCE bring about the event triumphant. . With the blessings of almighty the guests set alight the lamp and the event was officially inaugurated. Following this Mr.Arun k R ( chairman of IEEE SB NSSCE) took around the IEEE Code of ethics to the gathering. The inaugural session was draw to a close by the vote of thanks by IEEE Malabar Hub student representative Mr .Muhammed faiz . A session handheld by Harikumar sir on IoT was main attraction to the meet followed by the music performance by music band of NSSCE. 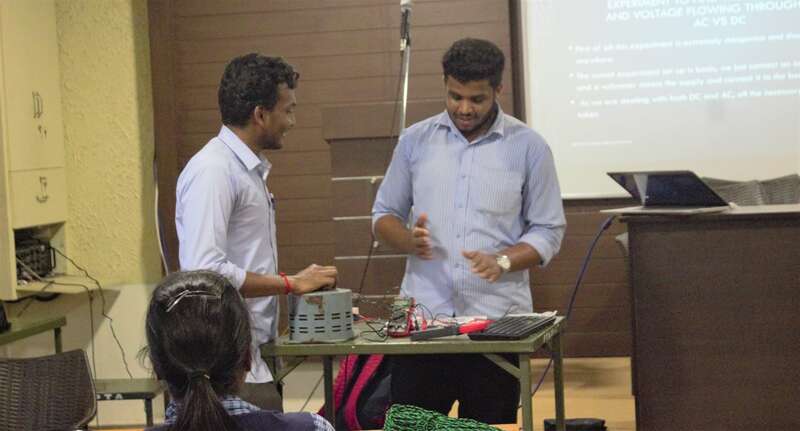 The session provided the method of networking the physical objects for internet connectivity by providing an IP address .The networking through treasure hunt followed by various interactive session have made the initial day fruitful . 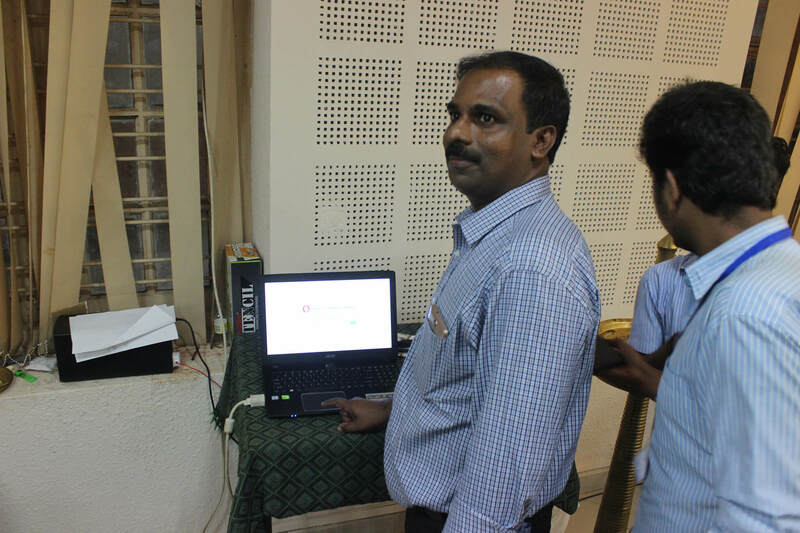 ALEXA	on digital hall of NSSCE handheld by Rabeer sir from the Quovadis Robosoftech was based on the virtual assistant Amazon Alexa developed by Amazon for voice based Smarthome assistance. Through this workshop the delegates were able to the Echo Dot, Amazon Tap, Echo Look etc . The tracking and analysing of Alexa is the main theme for Rabeer sir. ENGINE OVERHAULING by Vishnu Ravunni sir from the Srishti Robotics at the ALU GF hall was a practical approach to the participants .They were directed to view the internal parts of engine and are able to arrange them. The combination of theory and physical work were provide the delegates an fascinated experience. CRACKTHE INTERVIEW went ahead by the assistant professor Of College Of Engineering Trikaripur Ajith Aloshy sir at e-one hall was not only a plain theory session , through the fun and entertainment they were awared about the resume , CV and also the way to be an active participant in an interview. TEXT MINING done by the Research scholar from NITC Manu Madhav sir at the CNC Lab put forwarded the the brilliant ways to deliver information from text. The evaluation of input text and structured into a data pattern with the guide of Python. The retrieval of data from the text through modelling a pattern from the input by addition and removal of some linguistic features lend a hand to scan the document and scientific discoveries, encryption of data, and biomedical literature PubGene etc. By evening the first three sessions of workshops were break off and delegates were directed to auditorium wearing Traditional attires. Following the photo shot on 6.00 pm ramp walk by the participants ,DJ music, and Thug of war lead the way to an enthusiastic evening and gala dinner. 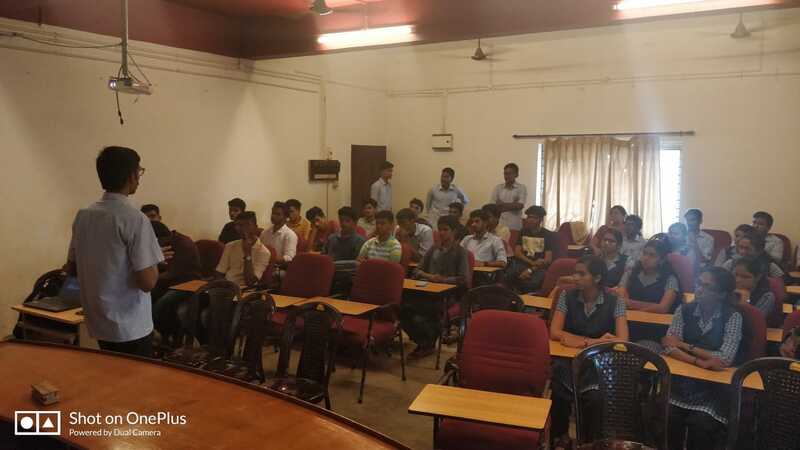 On 29th of July the successive sessions of workshops were reinstated and by 12.00pm it was terminated by the closing ceremony through feedback session of students .The delegates have expressed their views and many students showed their interest to be an IEEE Member. After a Century, Kerala faced flood again which drowned every inch of Kerala causing disasters and every living being was mourning about one thing or other. But even in this situation, Students from IEEE SB NSSCE formed a meeting how they can help and concluded with making Emergency Lanterns and Emergency Chargers. Even though many people are in the relief camp, they either don’t have electricity or they don’t have enough lights/chargers for all. This idea was initiated by IEEE students, students from NSSCE and alumni’s volunteered to help us and made the work more quickly. 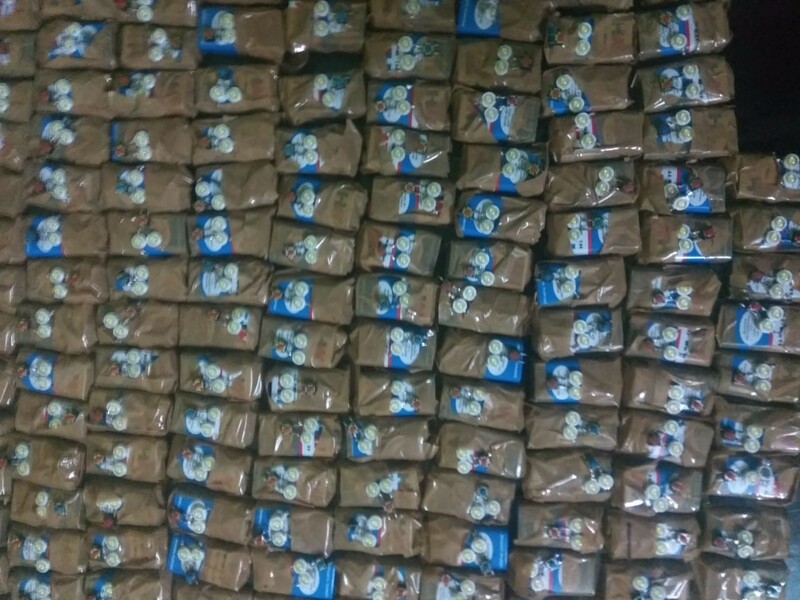 A total of 1200 Emergency lanterns and 50 Emergency chargers were made. These were delivered to various relief camps set up in different districts and was also useful for repair or cleaning purposes. The emergency lanterns can be used for 1.5 days with full brightness but it lasts 3 days. The emergency lanterns and chargers cost 30 and 25 rupees respectively per piece but few were ready to donate money whose profit was given to Chief Ministers Relief Fund. 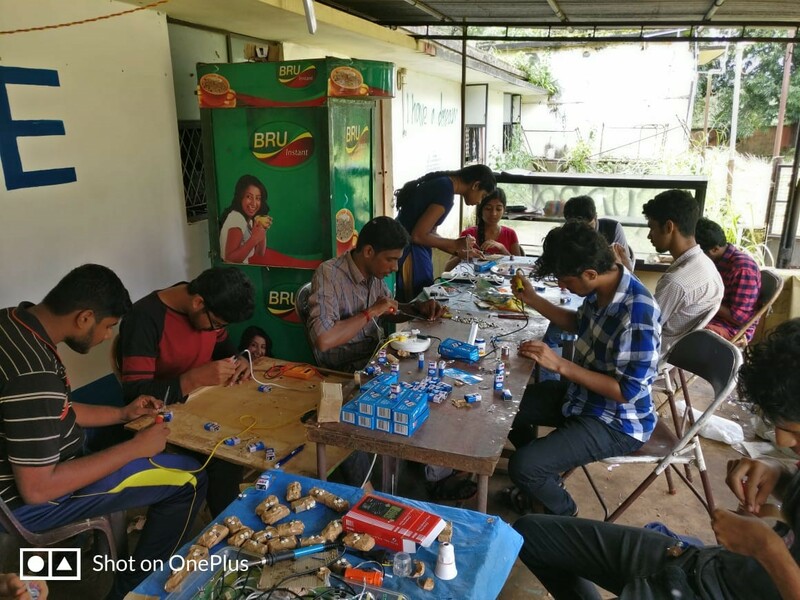 The work was divided into two – in the morning, day scholars help to make the lanterns and chargers and in 3 NSS COLLEGE OF ENGINEERING, PALAKKAD-8 night, the hostellers completed the work started in the morning. 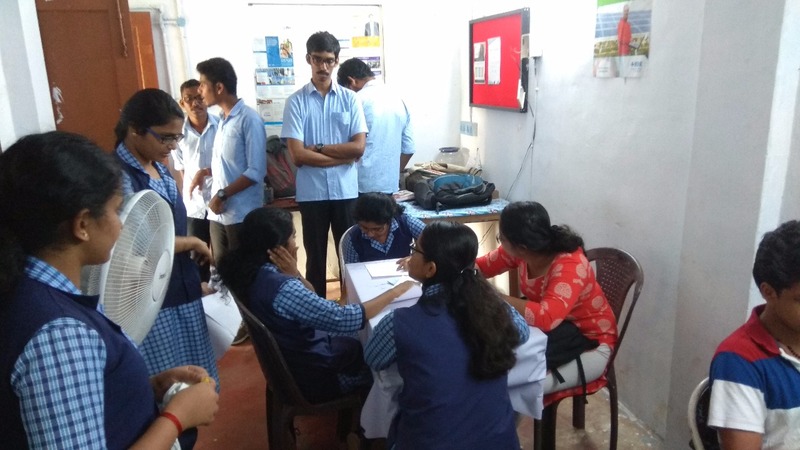 After 4 – 5 days of functioning, IEEE SB NSSCE was able to make Emergency lanterns and Emergency chargers as per the users need and distributed to relief camps at different parts of Kerala. Students and Alumni’s Volunteering was exceptional during the production process. 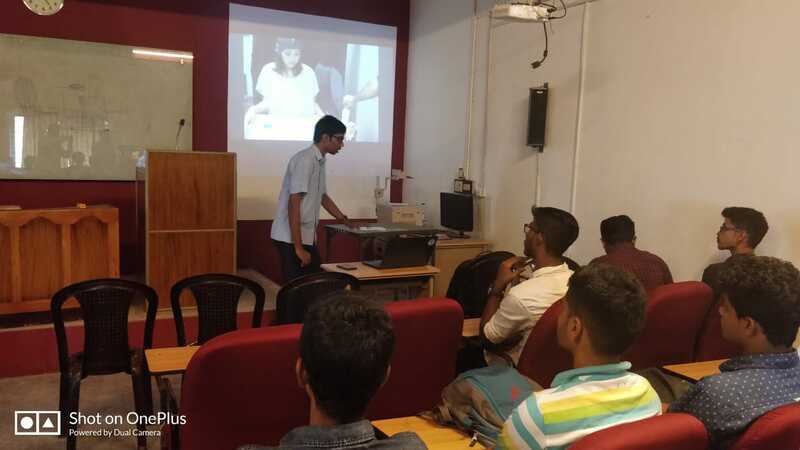 MIND-CONTROLLED ROBOTIC THIRD ARM GIVES NEW MEANING TO “MULTITASKING"
IEEE Student Branch of NSS College of Engineering, Palakkad has conducted the Spectrum Talk on the topic ‘Mind-Controlled Robotic Third Arm Gives New Meaning to MULTITASKING’. It was the talk based on the topic which was selected from the Spectrum, IEEE monthly magazine. It was conducted as a part to provide the IEEE members to get update with the new technologies and also provide an open space to discuss with the upcoming technologies with its pros and cons. It gives good platform for developing the soft skills of the members. The IEEE student branch of NSS college of Engineering, Palakkad attained an amazing growth in the year 2018. The membership strength has increased as compared to the previous year. 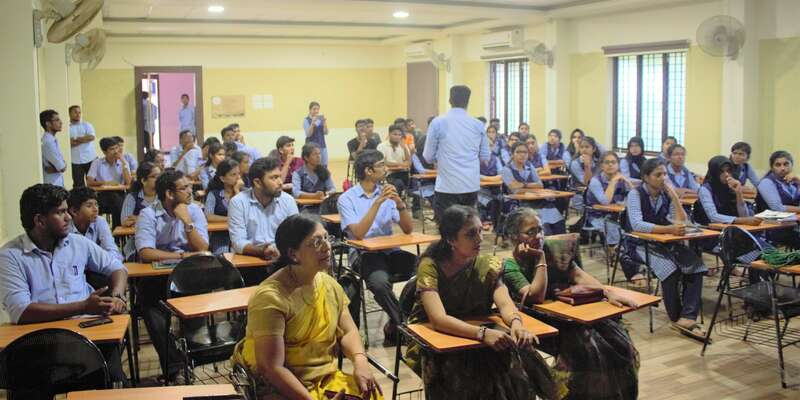 The students were much interested in the technical activities especially in the field of computer science, Electrical engineering and Electronics engineering. This led to the thought of conducting various events, awareness programs and competition among students. The competition was scheduled about a week before the event. several meetings were held regarding the planning of the program. 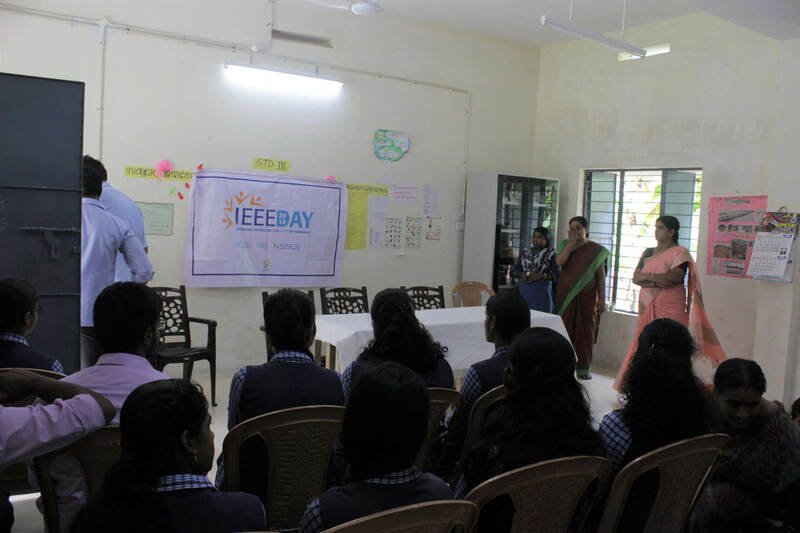 The event is scheduled as a part of IEEE day celebration. A pre competition was conducted to shortlist the most skilled students. And about 12 of them where selected for the competition. A wide publicity was given for the event inside and outside the campus. The content writing competition was charted for one hour with the topic ‘Inevitable Evil’ Which is held at IEEE room NSS College of Engineering on 25 September 2018 at 4 pm .The main objective of the program was to improve the writing skills of the students and spread the spark of IEEE day . 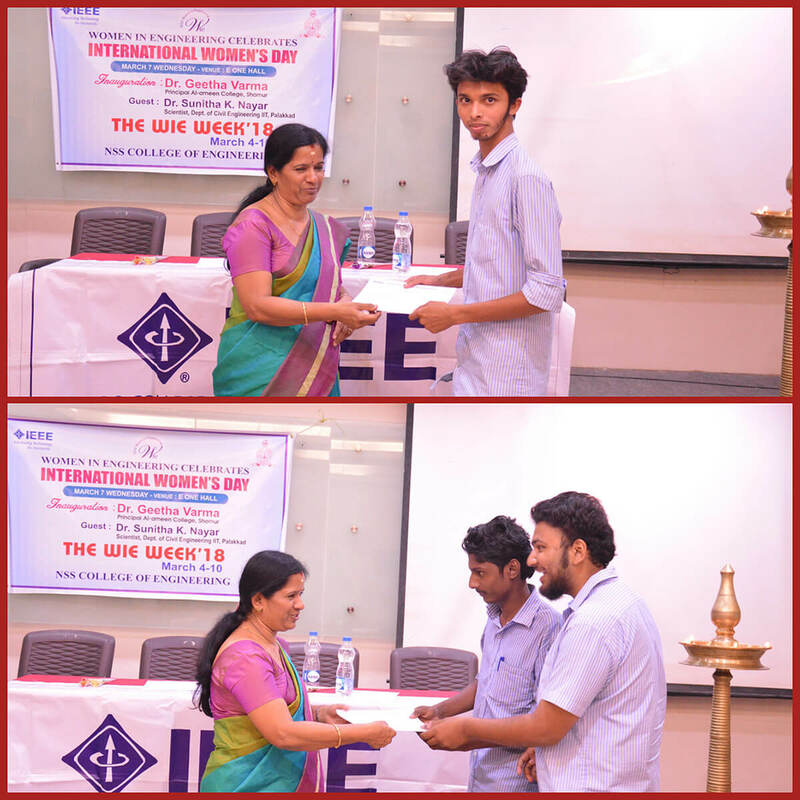 The winners of the competition were given an opportunity to join the IEEE SB NSSCE writing team. 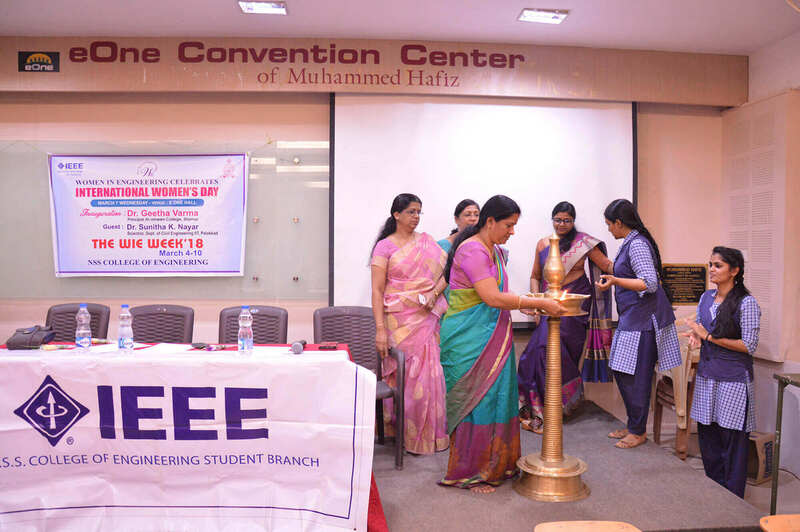 The competition was organised by Haritha H and Athira M who were the excom members of IEEE SB NSS College of Engineering. It was a successful event and it kick started the real capability of students. The event winded up at 5pm. A review meeting was held after the whole program with the executive members. The program was evaluated as a successful program by the executive committee. 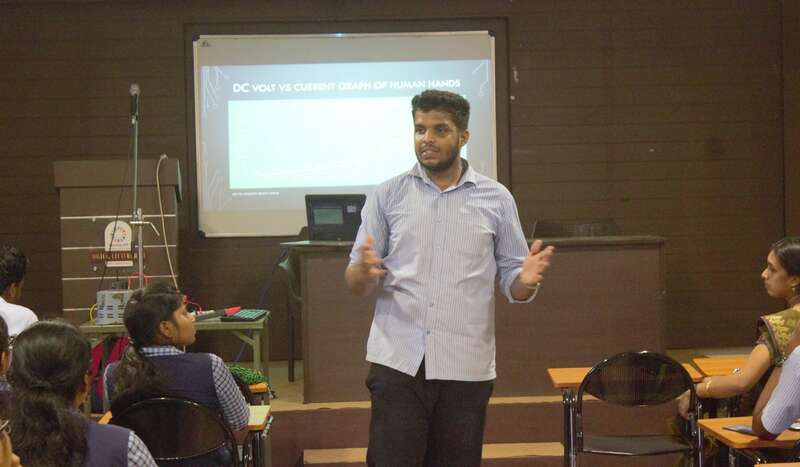 As part of immense activities and events conducted by IEEE Student Branch NSSCE, a technical presentation was conducted on the topic Alternating Current versus Direct Current by Abhinav R (Vice-chair IEEE SB NSSCE) on 28th Sept 2018. The presentation mainly dealt the question, which current hurts the most? A basic idea of Alternating Current and Direct Current was given to the students assembled. After which there was a technical presentation showcasing the effect of different current in human body, which was conducted by passing different tolerable voltages. And the results were tabulated and charted, which was further discussed to establish the capacitive property of human body. IEEE SB NSSCE had celebrated IEEE Day in a very memorable way. The celebration begun at 10:00 am and kick started with the cake cutting by Dr. Vasanthi V, followed by exe-com members of the Student Branch. 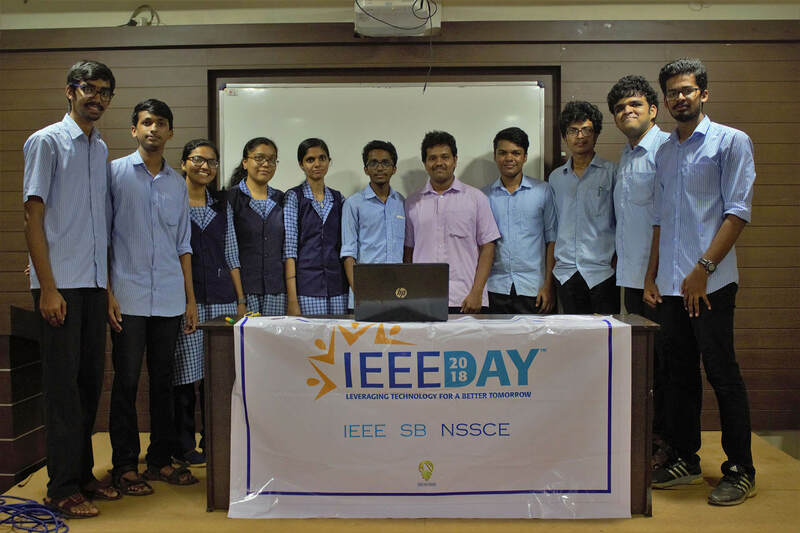 Once the members started volunteering themselves in the celebration the true spirit of IEEE Day emerged in them. After the cake cutting ceremony, a brief keynote on IEEE Day was given to the students by Mr. Ajith , Vice chair IEEE IAS SB NSSCE. 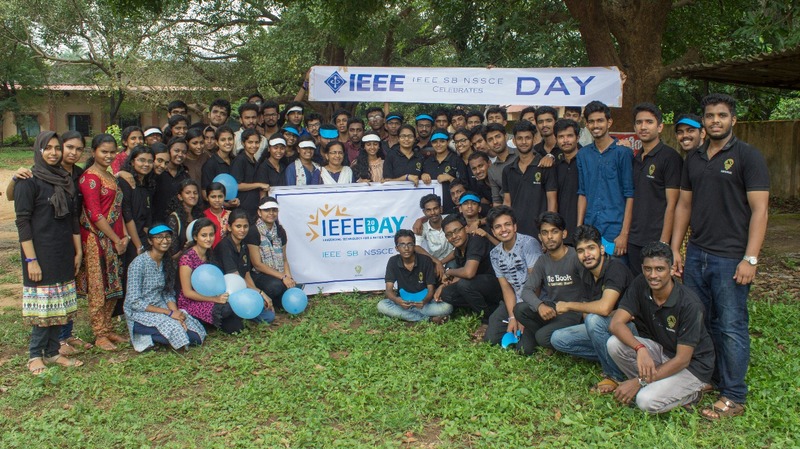 After which, there was a photo shoot of all the members showcasing their spirit of IEEE Day. The program came to an end by 12:00 noon with a video shoot of the celebration. The celebration witnessed about 70 IEEE Members. 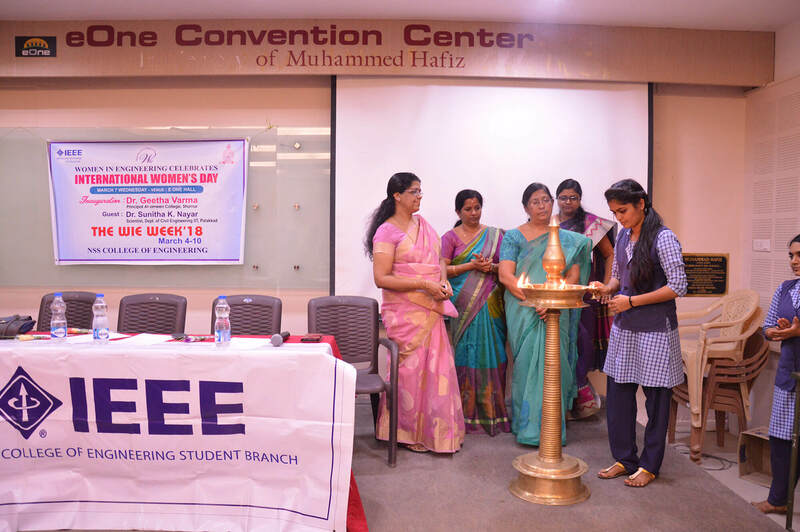 The IEEE Day Celebration was a grand success and witnessed an huge participation from IEEE members of the Student Branch. We are looking forth to conduct further IEEE day activities in SB level. 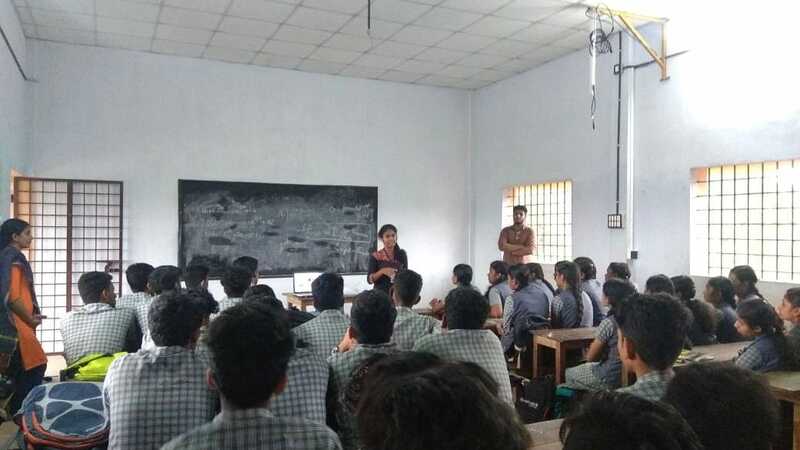 The IEEE Student branch of NSS COLLEGE OF ENGINEERING, PALAKKAD has conducted a debate competition as part of the IEEE day activities. The close involvement of the participants was the highlight of this programm. The debate competition was commenced on 6th October 2018 at 4.00pm in the Aluminum hall. The disputation held on the topic ' should section 377 of IPC be removed from constitution and decriminalized in India? '. It was conducted with 14 participants grouped into pairs. The judgment was done by Prof. Sudheer. P and Assnt.Prof. Nimitha Muraleedharan of electrical department. With the strong debating that lasted for one hour, Alvin Sebastian and Divin Krishnan of 7th semester won the prize. The volunteering section was handled by the IEEE members Athira.S, Arya Thambi and Ajay. 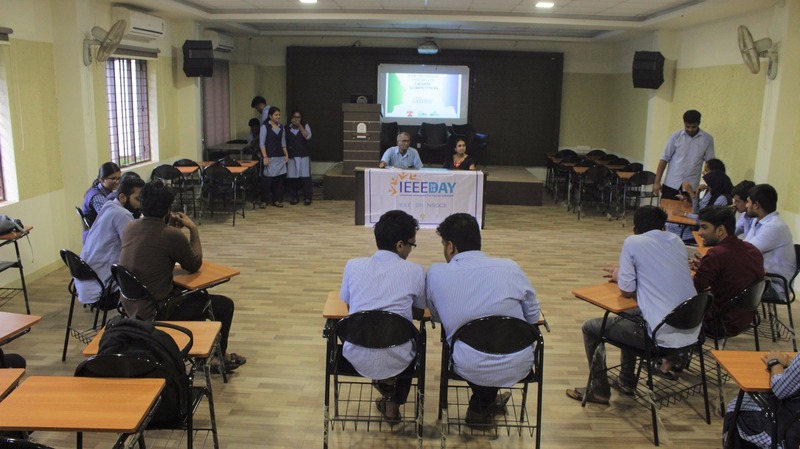 The debate competition held on behalf of the IEEE day activities paved the way to showcase the extraordinary talents of students. We ensure more activities to conduct in the SB level to bring the IEEE wing of our college to an extended level. The IEEE student branch of NSS college of Engineering, Palakkad attained an amazing growth in the year 2018. The membership strength has increased as compared to the previous year. 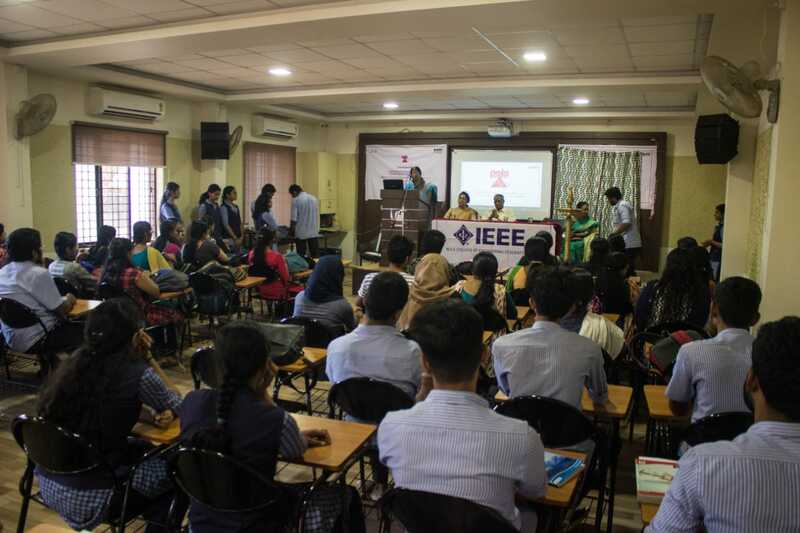 One of the main event conducted as part of IEEE Day was the Quiz Competition which was organised by PES Kerala Chapter . The quiz was conducted on behalf of the PES chapter, Kerala section. The quiz comprised of 40 enthusiastic participants. The venue of the program was the DLH room of NSS College of engineering. The information regarding the competition was made to reach the students of every branch, with the help of our publicity team, who did a splendid job in that. The first round, that was conducted on the above prescribed date was purely a written round. 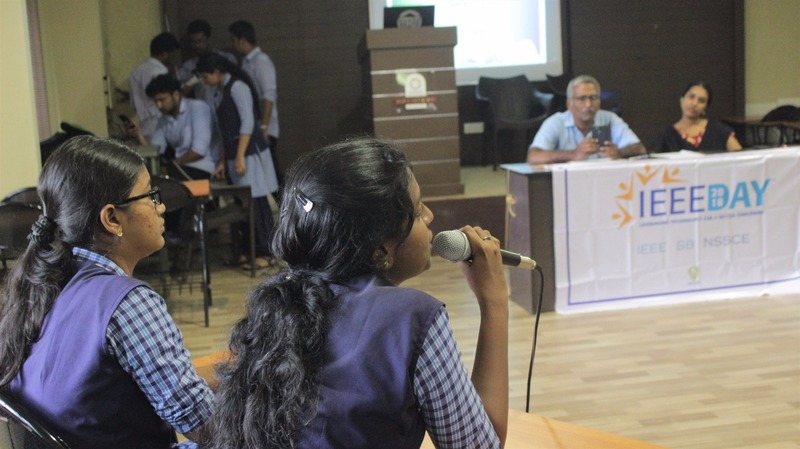 And the questions were divided into four sections: logical answering, current affairs, about Kerala and general knowledge. The quiz provided the students an opportunity to make use of their up to date knowledge on various affairs. It enabled them to realise their weakest points and also to analyse their status in solving problems, especially in the logical section. 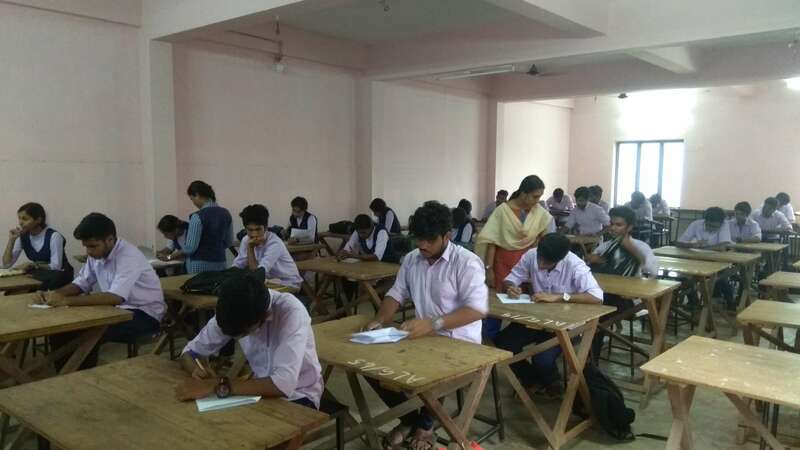 The logical section was designed in such a way that it tested their aptitude on various domains of quantitative analysis, so that it proves to be an experience for the candidates in their future encounters with aptitude tests. The program was coordinated by our volunteers Abhiraj v s, Keerthi Shankar and Arjun N. The time duration was fixed to 1-hour . The winners of this round will be further taken to participate in the state level, that is to be conducted on 13th October 2018. 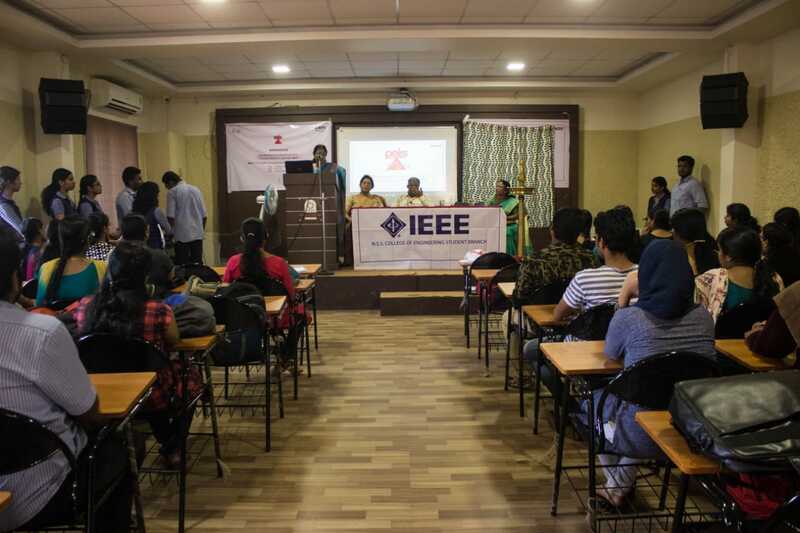 The IEEE PES Quiz Competition was a grand success and witnessed an huge participation from IEEE members of the Student Branch. We are looking forth to conduct further IEEE day activities in SB level. The IEEE student branch of NSS college of Engineering, Palakkad attained an amazing growth in the year 2018.The membership strength has increased as compared to the previous year. 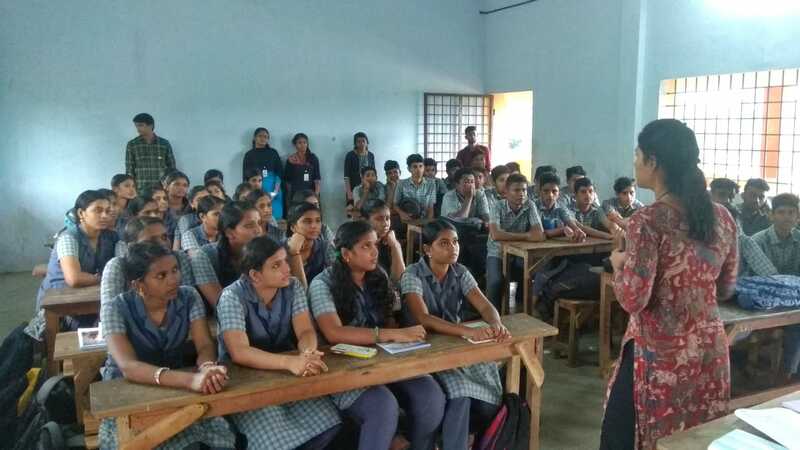 The students were much interested in the technical activities especially in the field of computer science, Electrical engineering and Electronics engineering.This lead to the thought of conducting various events, awareness programs and competition among students. Encrypta € 1.0 is first ever coding codes in the journey of IEEE SB NSSCE.The event was scheduled as a part of IEEE day celebration.A wide publicity was given for the event inside and outside campus.The main objective of the programme was to improve the coding skills of the students and spread the spark of IEEE day.The event was conducted in 2 day with 3 phases .The preliminary phase was Ekachakra,the second phase Panchachakra,and the final phase Chakravyuha.Phase 1 was conducted on 11th October 2018 in DLH Hall at 4pm.Many students participated in this phase of which 13 students were selected for the next phase.In the Ekachakra students were given 3 questions for 15 minutes ,the students who got correct output were selected for the Panchachakra.Phase 2 were held on 12th October at 1 pm ,in this 5 questions were given for 45 minutes.The students who cleared this round were selected for the final round.Phase 3 Chakravyuha was conducted on the same day with 6 students at 4pm. In this students were given 2 questions for 10 minutes and finally Akarsh Ashok of S3CS won the title " THE ENCRYPTER ".The winners of the competition were given amazon gift cards.It was a successful event and it revealed the intelligent coding skills of students. The IEEE student branch of NSS college of Engineering, Palakkad attained an amazing growth in the year 2018. IEEE SB NSSCE is going through the happiest journey with the support of advisors and active members. 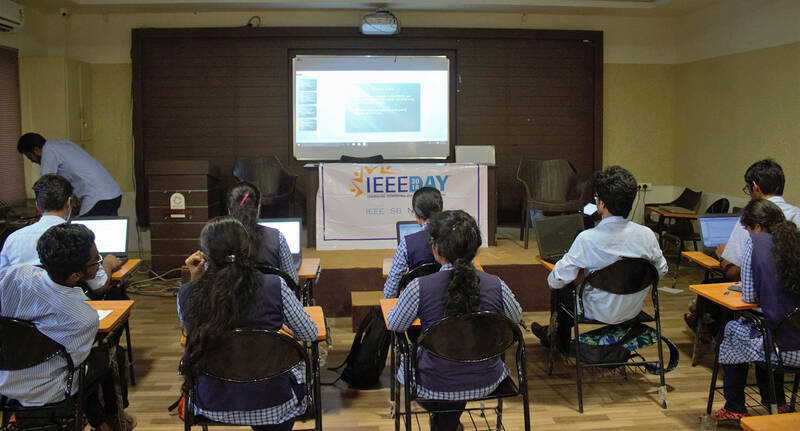 In this year we have been celebrating IEEE day 2018 as IEEE week. since We are focusing on the theme Leveraging technology for better humanity, our point of convergence to be with people who need something. As part of our students interest we have gone to Government welfare school, Puthupariyaram. 15 members from SB visited this school and interacted with tribal students. They have shown their skills by performing their own extracurricular activities. On 12th October 2018 at 12.30 pm we reached there and they have treated us not only as a student of an Engineering college as their guest. They served their happy and gratitude by their smile. 50 students from the school have astonished us with an excitement. This visit is most memorable experience to our SB as well as college. A review meeting was held after the whole program with the executive members. The program was evaluated as a successful program by the executive committee.A review meeting was held after the whole program with the executive members. The program was evaluated as a successful program by the executive committee. 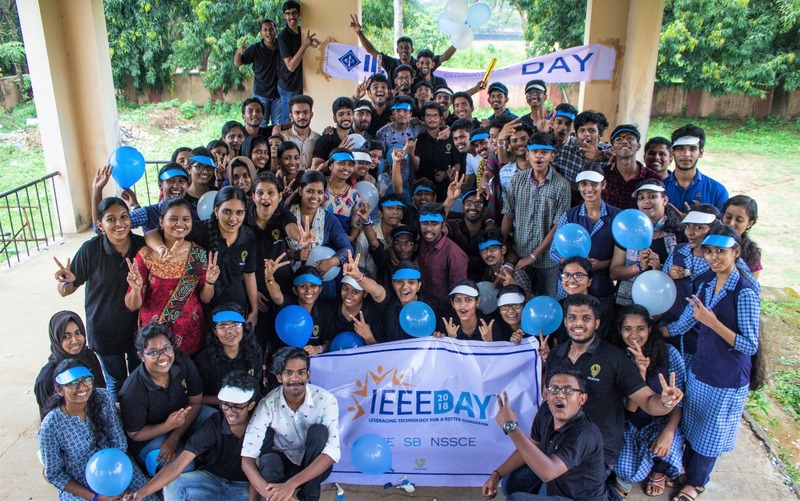 As part of IEEE Day 2018, a long-led dream was successfully done by IEEE SB NSSCE. The members of IEEE NSSCE had electrified our IEEE Room using Solar. The dream completely sticks on to the theme ‘Leveraging technology for a Better Tomorrow’. First of all, a solar panel of 50w was bought and installed on the rooftop of IEEE Room, and the solar charging circuit was designed and manufactured by the women volunteers of Student Branch. The initial test was done by the Branch Counsellor Dr. Leesha Paul and was a success. As of now, the room lights are completely sustained by Solar panel and a 12v 9Ah Battery and could easily last 2 hours of continuous usage. IEEE Student Branch of NSSCE has achieved the proud moment to start the first PELS chapter in Kerala Section and it was inaugurated by C M Varghese, Managing Director at IGA TECH Industrial Electronics Pvt. Ltd. The programme was scheduled on 15th November 2018 in the presence of our principal, Dr. Sudha T.